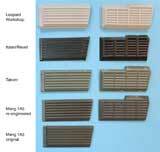 All of the plastic slats are totally consistently spaced and innacurate. 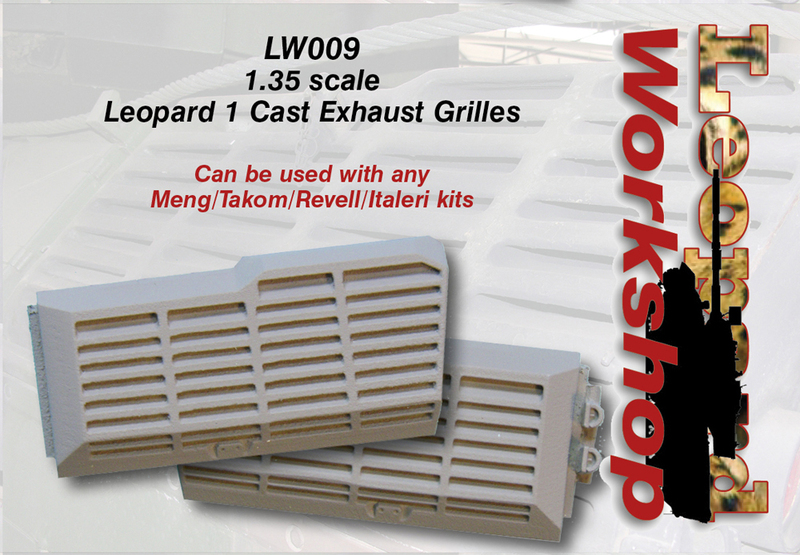 Only the Leopard Workshop grills capture the depth of the real thing. 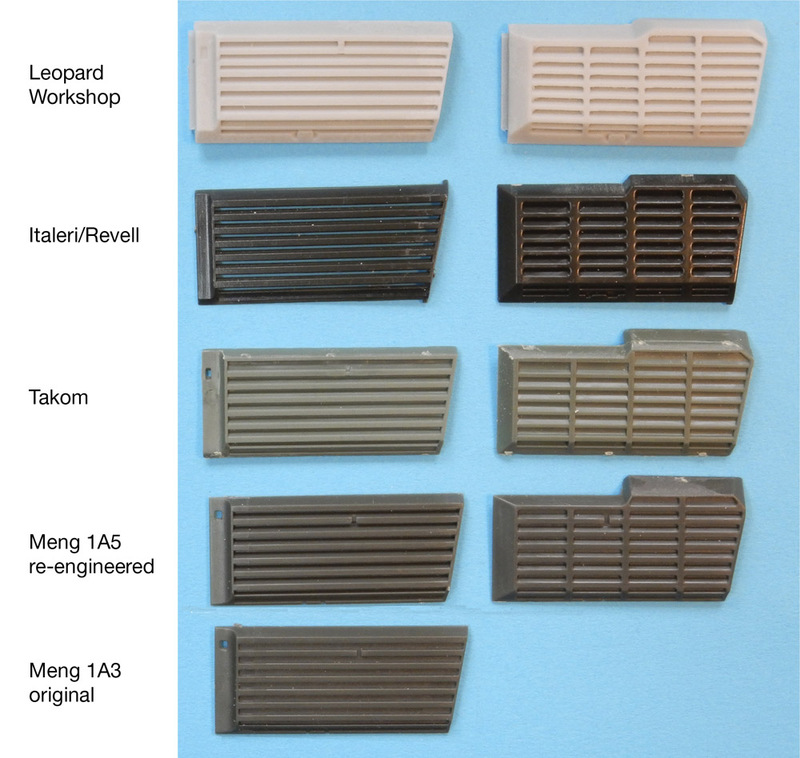 The Leopard Club slat sets also include accurate skirt mounting brackets (the real ones are shown below). Fitting is different for each manufacturer (see the instruction sheet). Be careful cutting off the casting block. It is on a sharp edge and easily damaged. 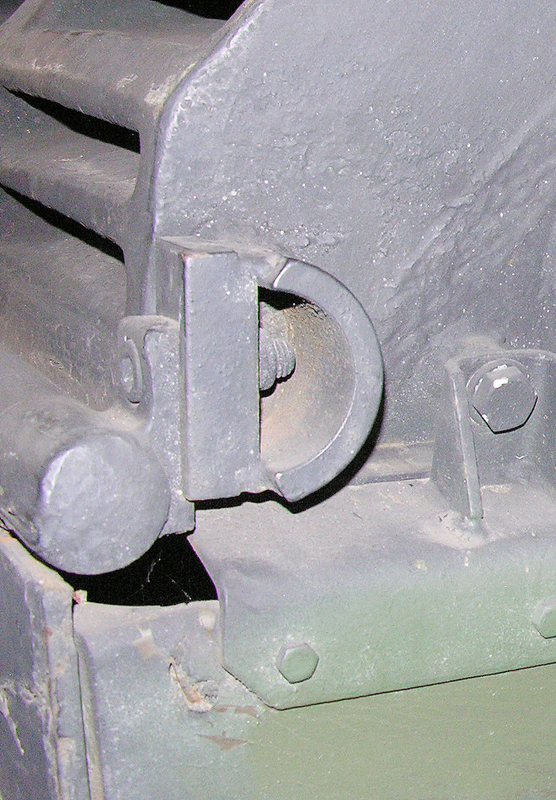 Measure 40 mm forward from the rear edge of the hull and cut vertically down the hull side. 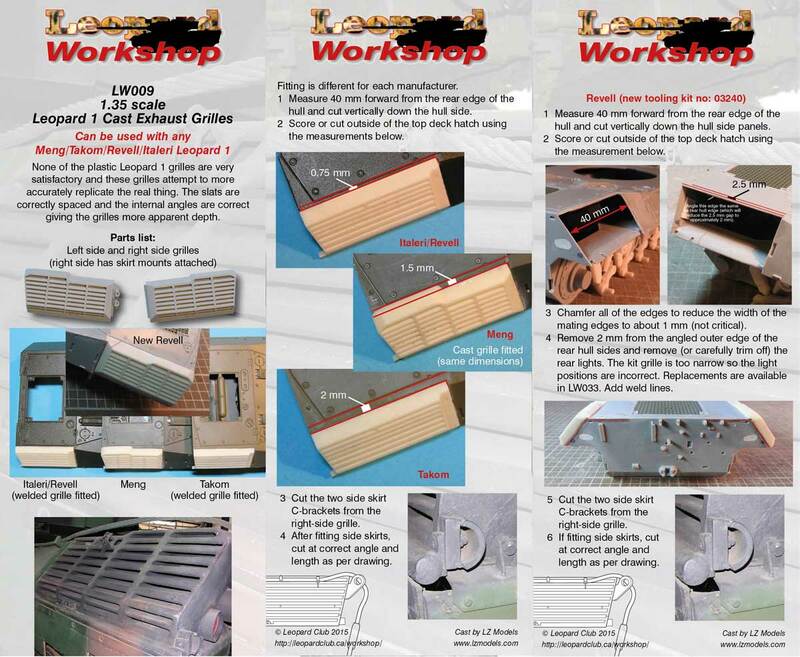 Score or cut outside of the top deck hatch using the measurements in the instructions. 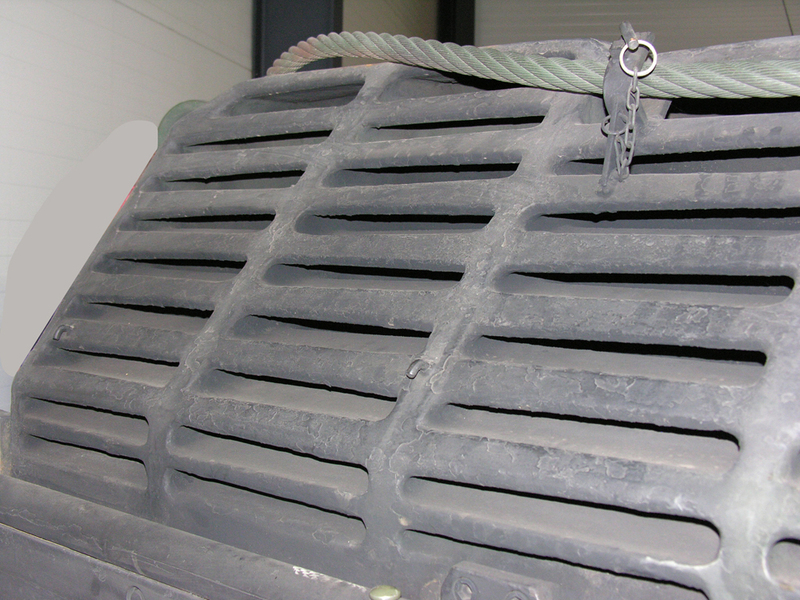 Cut the two side skirt C-brackets from the right-side grille. After fitting side skirts, cut at correct angle and length as per drawing. 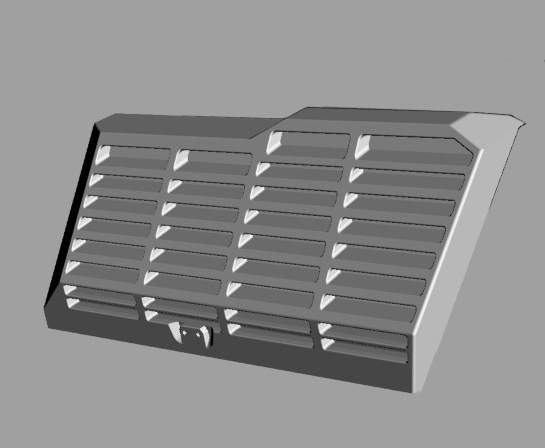 Measure 40 mm forward from the rear edge of the hull and cut vertically down the hull side panels. Score or cut outside of the top deck hatch using the measurement below. Chamfer all of the edges to reduce the width of the mating edges to about 1 mm (not critical). Remove 2 mm from the angled outer edge of the rear hull sides and remove (or carefully trim off) the rear lights. 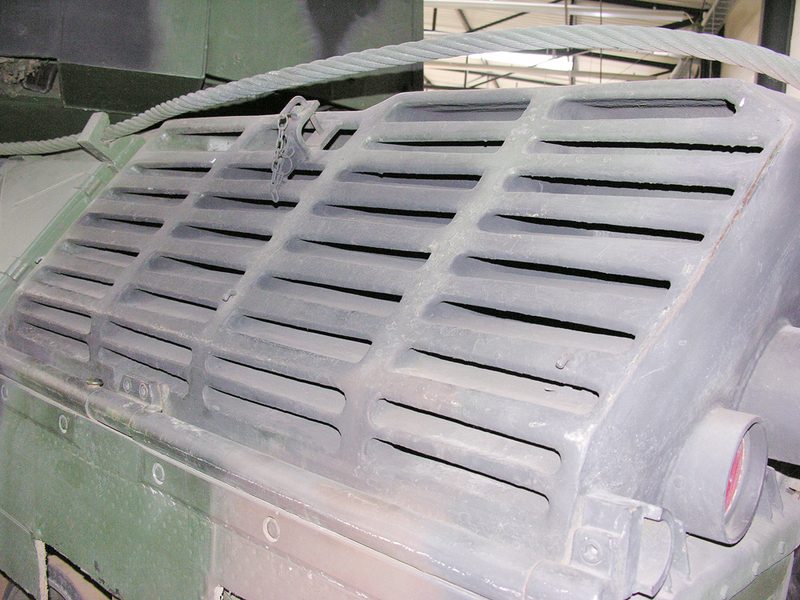 The kit grille is too narrow so the light positions are incorrect. Replacements are available in LW033. Add weld lines. If fitting side skirts, cut at correct angle and length as per drawing. A review by Todd Michalak may be found posted on this site.